Changes are coming to the real estate industry beginning October 1st. Program fees for the United States Department of Agriculture Rural Development’s guaranteed home loan program will be significantly reduced. Originally, the upfront guarantee fee for the Single Family Housing Guaranteed Loan Program* loans was 2.75% of the loan amount, however, that will change. On October 1st, the new upfront guarantee fee will only be 1% of the loan amount! Additional, the “annual fee” will be reduced to 0.35% when previously .05%. Well, you will be saving more money with USDA loans beginning very soon! 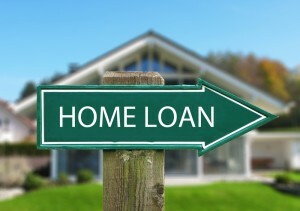 The upfront guarantee fee reduction will significantly reduce the amount added to the loan. This means a lower debt obligation and lower payments for homebuyers. Interested in learning more about the fee changes and how that will help you purchase your new house? Contact us today for a list of our fantastic mortgage partners. *This program assists approved lenders in providing low- and moderate-income households the opportunity to own adequate, modest, and safe houses as their primary residence in eligible rural areas. Click here to learn more.